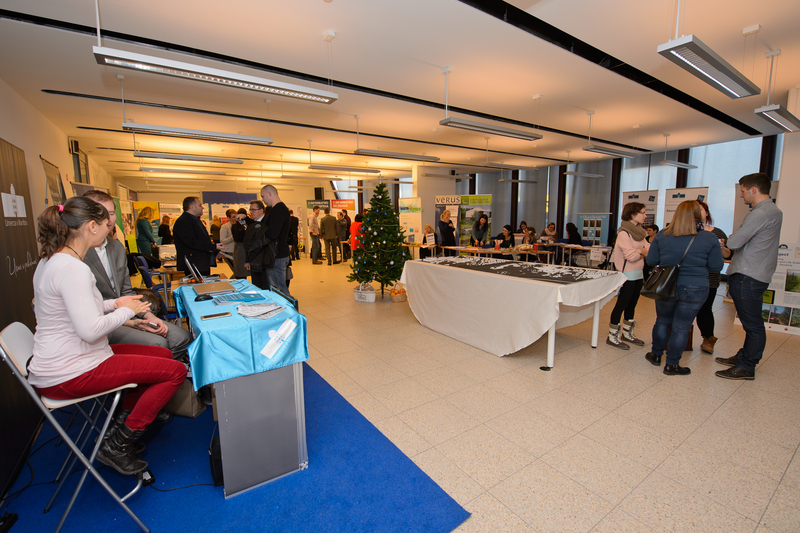 On 6th December 2016, the industry and research sector gathered at the research fair organised within Business and Industry Zone Tezno in Maribor, the scene of planning and creation of highly sophisticated, high-tech products and services. Main aim of the fair was transfer of knowledge and creation of research and development synergies. 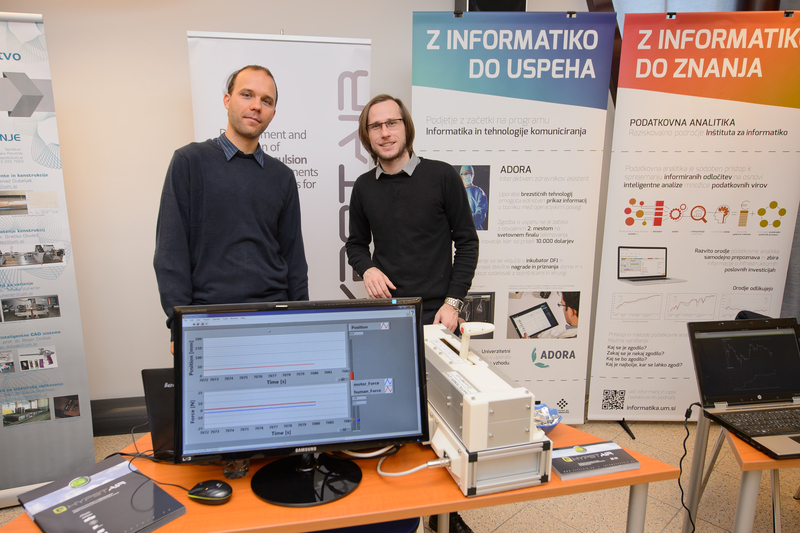 Within the fair various new technological solutions and innovations were presented, among them the haptic prototype lever developed within the European project HYPSTAIR under the responsibility of the University of Maribor (i.e. Faculty of Electrical Engineering and Computer Science). 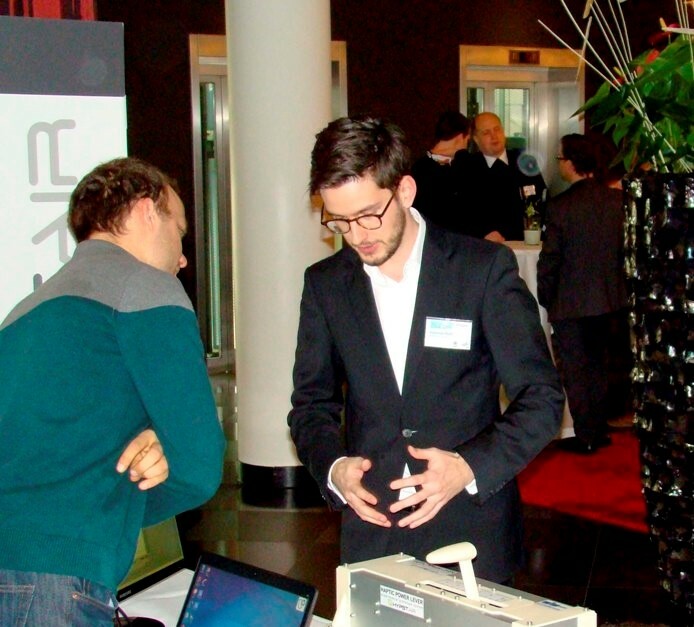 Fair’s visitors, including industry and relevant regional policy stakeholders, were able to test the haptic lever and experience haptic feedback effects. 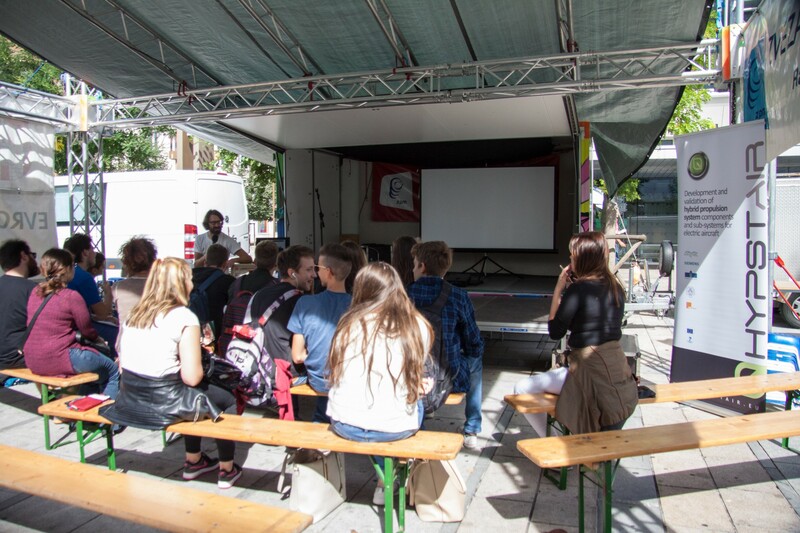 On 19th September 2016, the project HYPSTAIR unveiled at the EUROPEAN MOBILITY WEEK in Maribor. The EUROPEAN MOBILITY WEEK campaign is the perfect opportunity to present sustainable mobility alternatives to citizens, to explain the challenges that cities and towns are facing in order to induce behavioural change and make progress towards creating a more sustainable transport strategy for Europe. 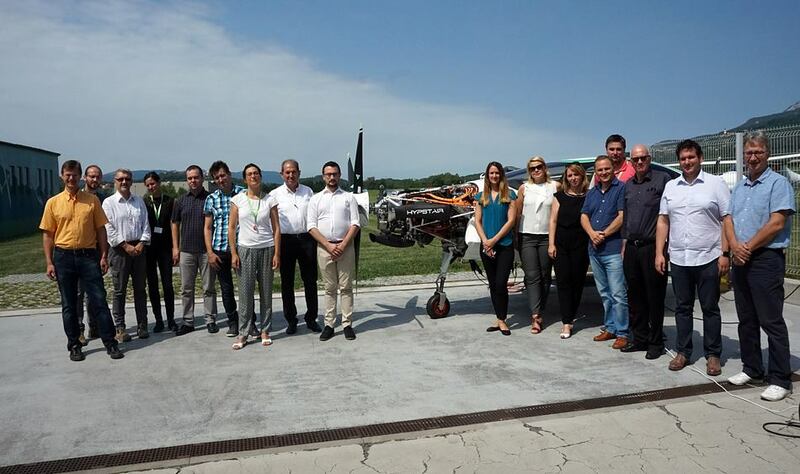 On 20th July 2016 all partners of the HYPSTAIR project met in the last project meeting at Pipistrel headquarters in Ajdovščina. The live demonstration of hybrid electric powertrain was carried out, giving partners the chance to see again outstanding results of their collaborative research. 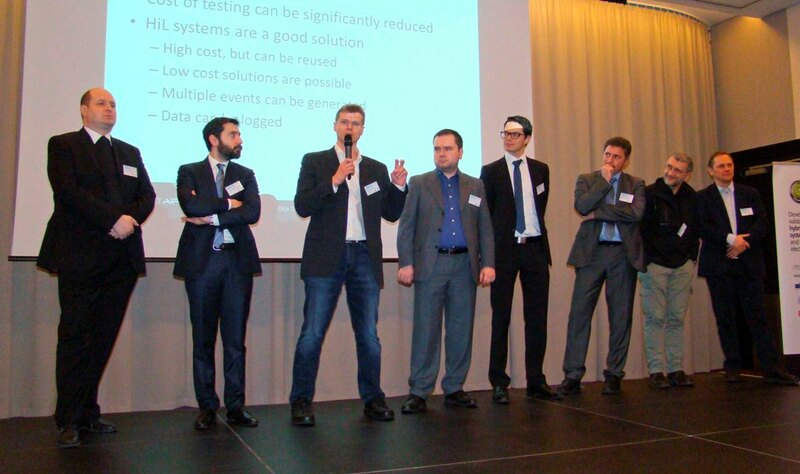 All partners agreed that the HYPSTAIR project presented very interesting research field, which enriched not only their research knowledge but also developed some nice professional relationships. At Aero 2016, AVweb caught a good long look at the first serious high-output aircraft serial hybrid drive. 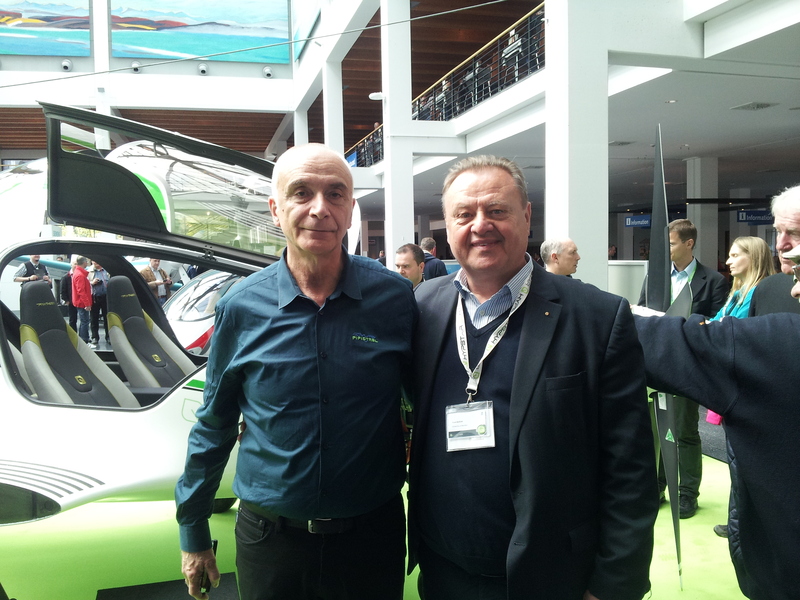 AVweb’s Paul Bertorelli interviewed Tine Tomazic of Pipistrel Aircraft about the Hypstair project. Take a look at the interview. A year has gone by and once again, it was time for the AERO 2016 – the global show for general aviation. Traditionally, the event is carried out in Friedrichshafen, this year it lasted from 20.−23. 4. 2016. In those 4 days, 606 companies from around the world exhibited at the fair. 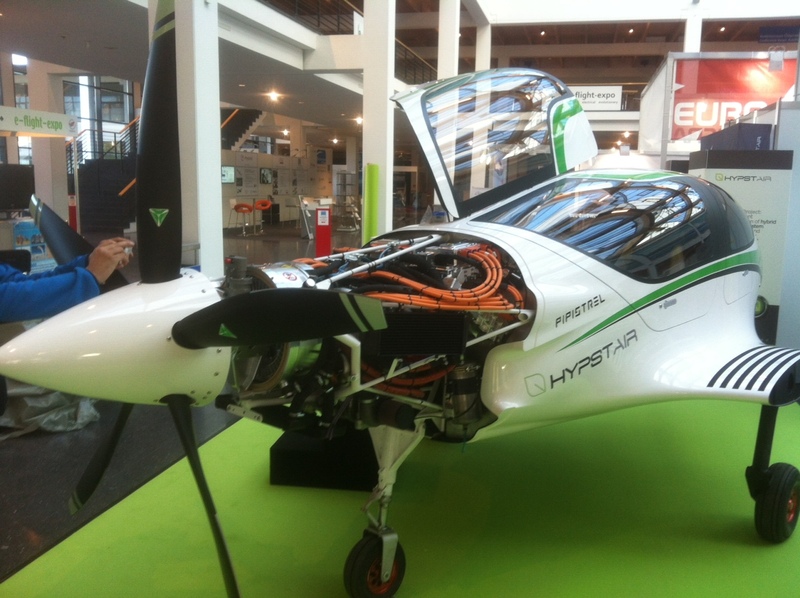 HYPSTAIR sure did not miss the opportunity to show-off its new body and soul. 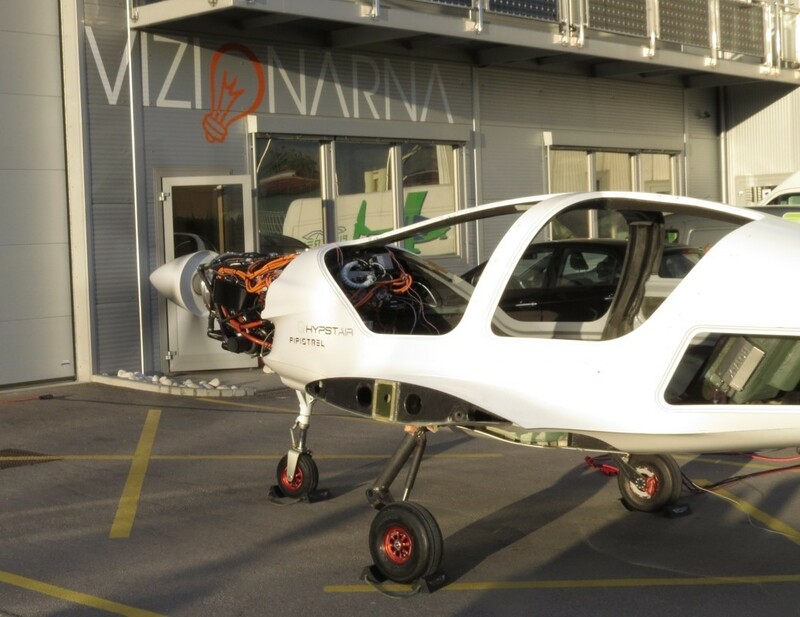 HYPSTAIR consortium unveiled for the first time the prototype of the world’s most powerful hybrid electric powertrain for general aviation. First power up of the hybrid electric powertrain was achieved at the very beginning of February 2016. AERO 2016 was chosen to be the event, where people could see the actual mock-up of the entire powertrain fitted into PANTHERA mould for the first time. 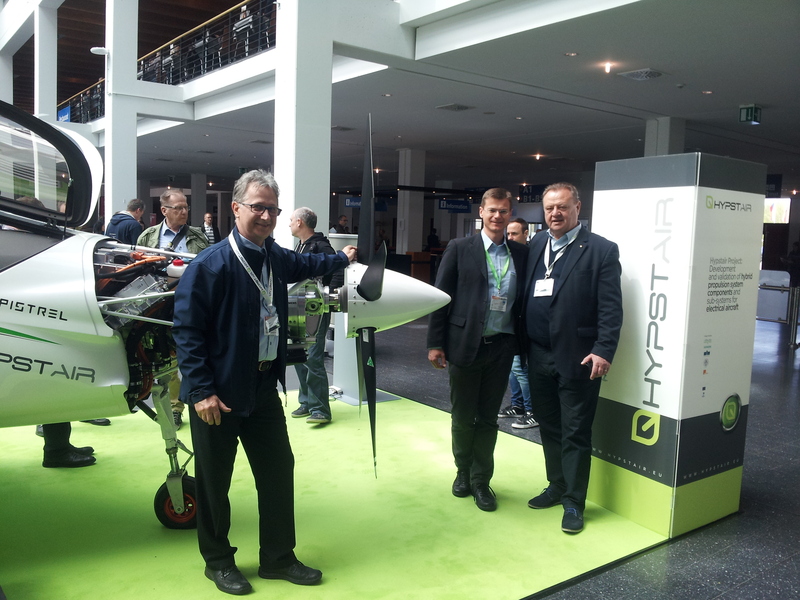 Many visitors, pilots and engineering experts were attracted to the HYPSTAIR stand, both by its propulsion design and architecture, and with other innovative features such as haptic power lever and Human-machine-Interface (HMI). We are honoured that special attention was received from Her Excellency Marta Kos Marko, Ambassador of the Republic of Slovenia in Germany and Consul-General of the Republic of Slovenia in Munich, Mr. Jožef Keček. New plans and new milestones were set in Friedrichshafen, and hopefully we will report about them very soon. 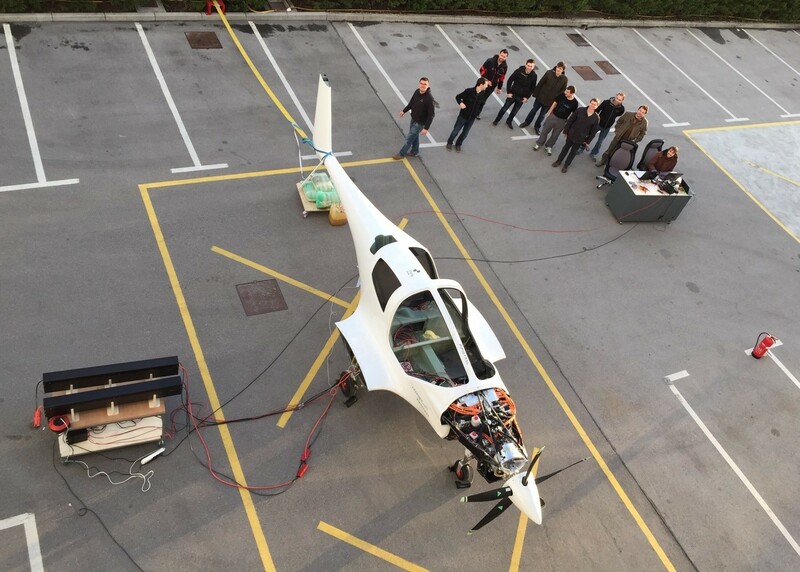 A major step towards electric powered air travel was achieved on 9th February 2016 in the project HYPSTAIR, with the power-up of the world’s most powerful hybrid electric powertrain for aviation. Read more! Take a look at the video of the first power-up! 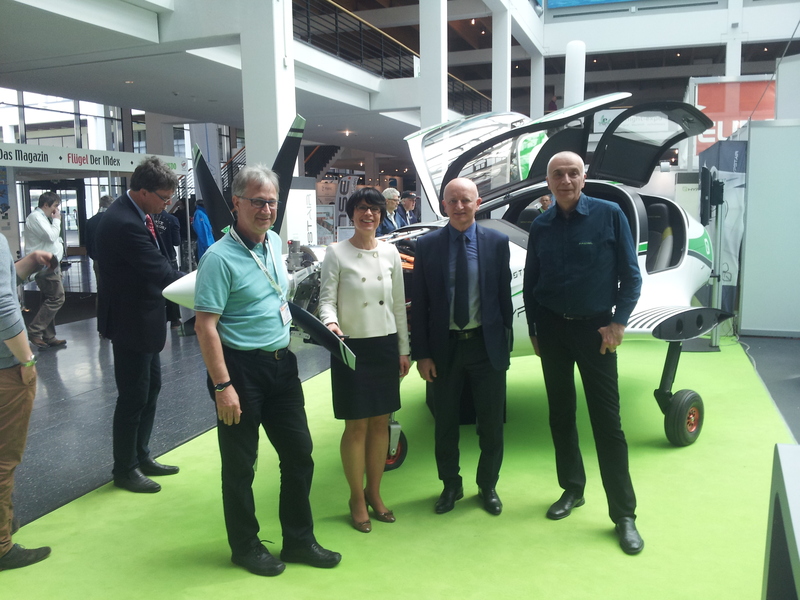 HYPSTAIR project in cooperation with the DLR and University of Stuttgart organised the Symposium E2 FlyingThe Symposium addressed the challenges related to implementation of aircraft with electric drive. In this promising area of research, participants focus on the details of the feasibility as well as scientific aspects. 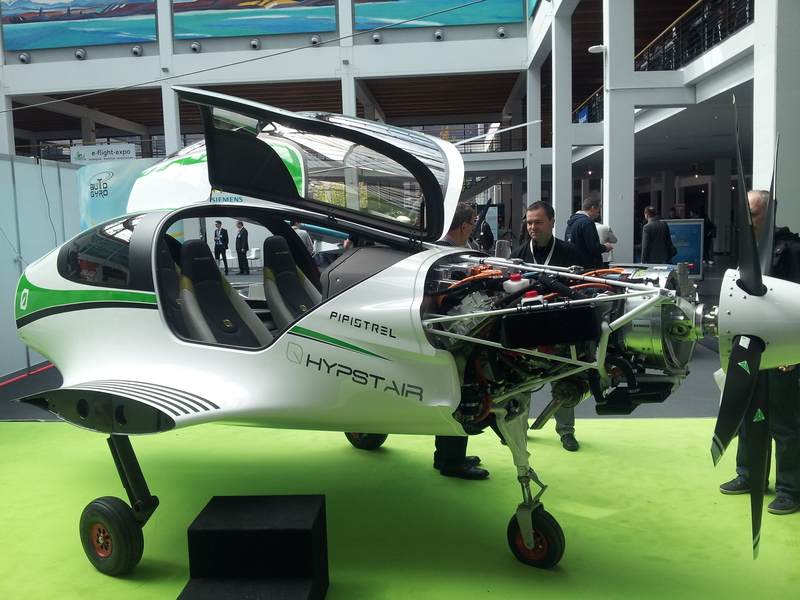 The progress of project HYPSTAIR and especially the results of the first power up of the world’s most powerful hybrid electric powertrain for aviation were introduced for the first time. The hybrid electric powertrain represents a major step towards electric powered air travel and sustainable mobility. Symposium, with around 150 representatives from universities, research institutes and companies participated, was visited and addressed by Winfried Hermann, Minister of Transport and Infrastructure Baden-Württemberg. 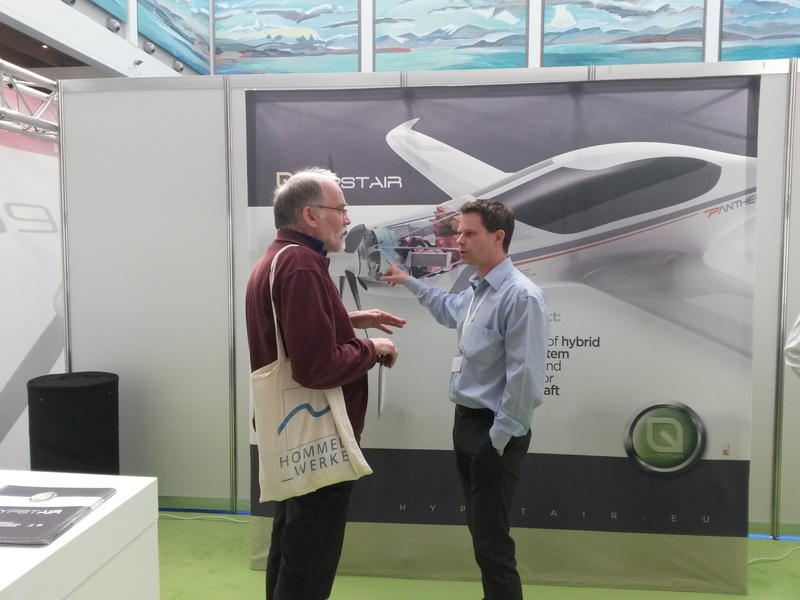 HYPSTAIR made its debute in Aerodays in London! Aerodays 2015 took place from 20th to 23th October 2015 in London. 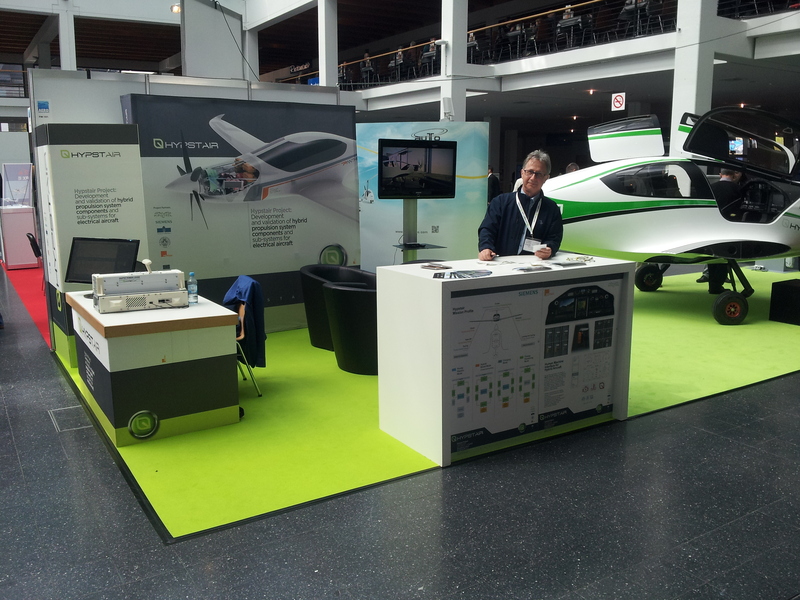 Aerodays is the European flagship three-day event in aviation research and innovation, which takes place once every 4 years, during each EU Research Framework Programme. Designed to present strategic perspectives for aviation, including research and innovation, the event goal is to share achievements of collaborative research and innovation in aeronautics and air transport within Europe and world-wide international co-operation. Reflecting this, the programme included multiple plenary and parallel technical sessions. This year’s topics were Greening of aviation, Competitiveness of industry, Efficient and seamless mobility and Breakthrough innovation. 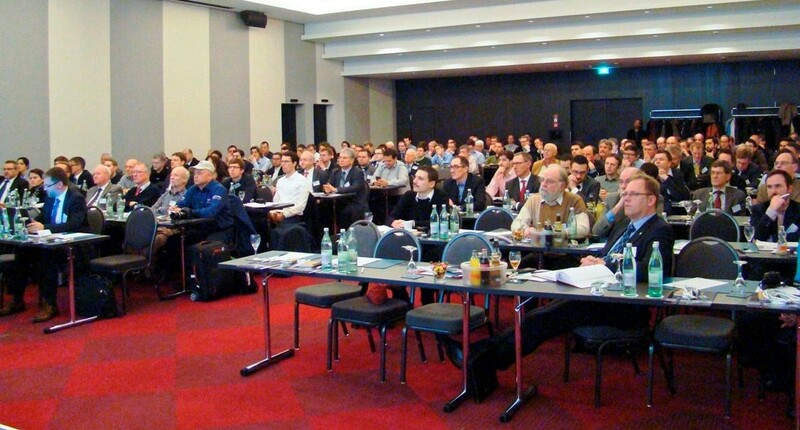 More than 200 speakers lectured about these themes and over 1000 visitors from 14 countries participated at the event. 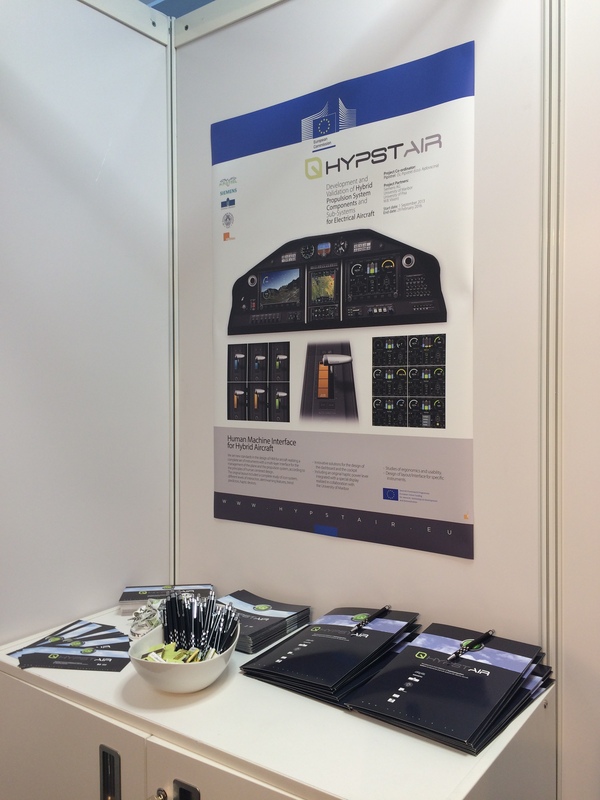 HYPSTAIR project was presented at the stand in the exhibition stand together with other excellent projects. Igor Perkon, project coordinator from Pipistrel, contributed his lecture “Towards Certifiable Hybrid Powertrains for Electric Aircraft” in the framework of Skills and Breakthrough section. 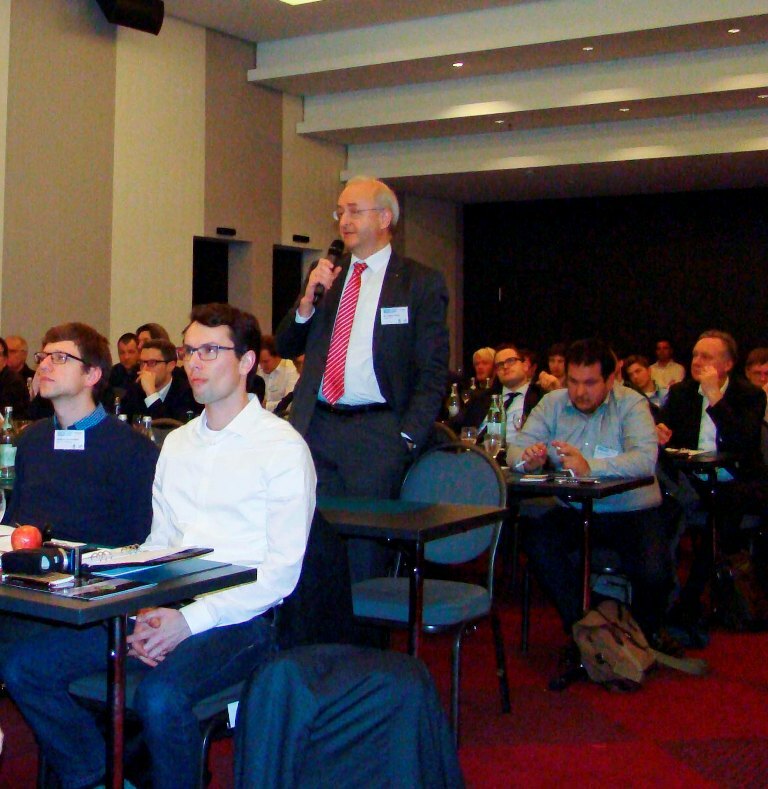 HYPSTAIR project raised rather great interest among both visitors and respected speakers at the event that are now excitingly waiting for final results and new development prospects in the future. 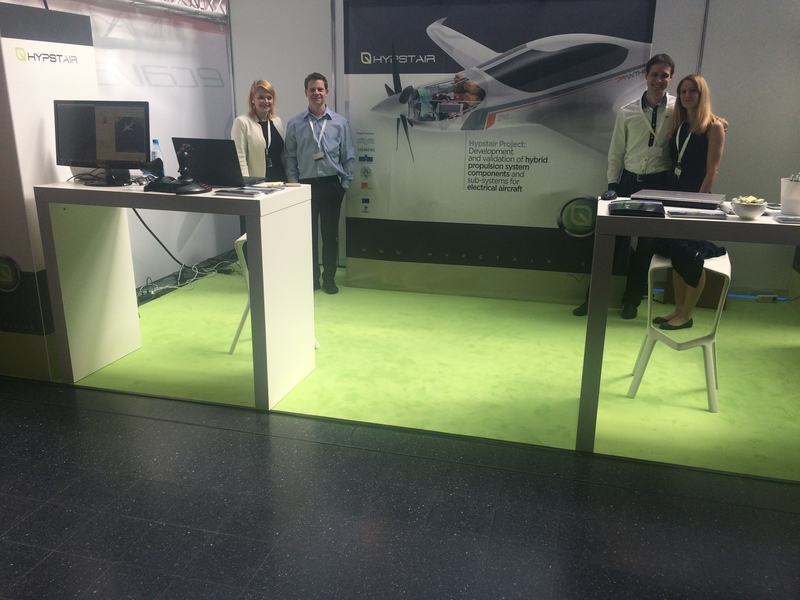 HYPSTAIR project visit AERO2015 in Friedrichshafen in Germany. Among visitors and other exhibitors, HYPSTAIR is very well accepted and already got some new fans that are looking forward to its results. Here is a sneak peak of what was happening at AERO.